6 weeks of bearding! Only two more weeks left of the competition! I'll be posting details soon about our official Beard Party, we've got a great new venue for the event. In the meantime, go ahead and mark your calendars for Wednesday, December 2nd. The next two weeks pictures are crucial! Bring the smack talk and bring the creativity! Good luck, chumps! 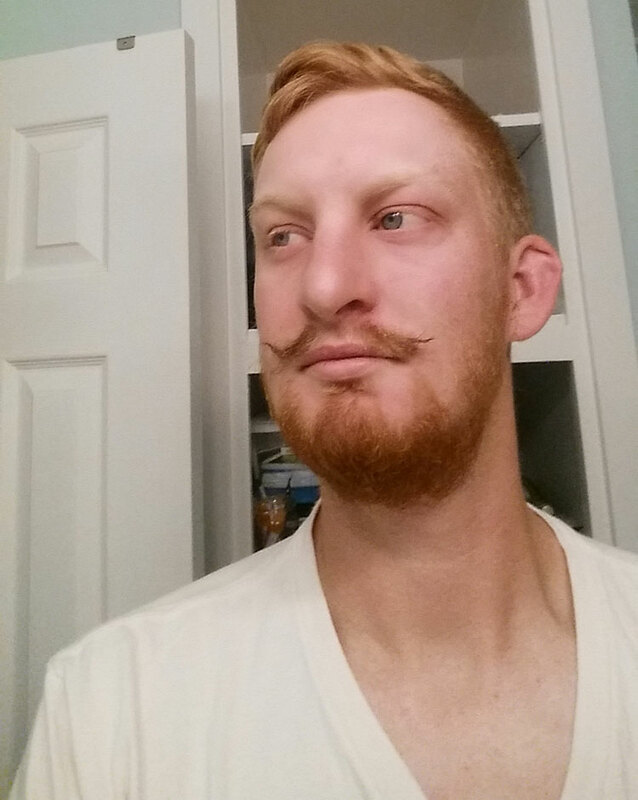 "My Stash game is strong gents." Great bearding, Brian!! Top notch! "I like to enjoy my coffee with a beard." Nice and neatly trimmed. No Kolsen this week I see?! Trouble in paradise? "All of Ivy's training is starting to pay off." Paging Doctor Bailey, paging Doctor Bailey! "This beard has gone in to hibernation... I'll blame it on the cold weather." It's a cruel world. Hang in there! A cheerful beard! Nice bearding, Kev-O! "Backyard fire and s'mores. My beard is so calico." I see you still have the werewolf costume on. You've got the right idea - grow a beard! Another beard to make the girls holler! "At the stage where items are now getting stuck in The Beard..."
That's ridiculous! You've got me beat for sure.